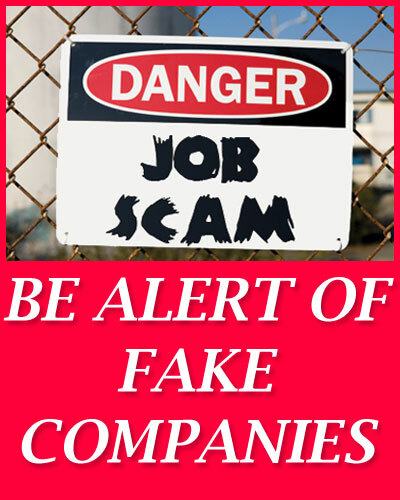 We are providing latest fake companies list or black listed IT companies list in India. If you feel any of the company is wrongly listed below then send us an email to admin@allindiajobs.in then we will remove that particular company name from the list. Please note that the information provided here is just information purpose only. We do not guarantee this information is correct. So please do thorough research before you take any action. Afxisi Technology India Techno Services P Ltd.
i TechsoftTech manage Pvt. Ltd.
M/s YaresoftTech Technologies pvt Ltd.
SemanticTech Solutions (India) Pvt Ltd.
Sysame India Techno Solutions Private Limited. There is a one company firebrick tech pvt ltd at Nagarbhavi, they use to locate one by one place and repeatedly cheating employees. Pls list and let know with whom we need to complaints. 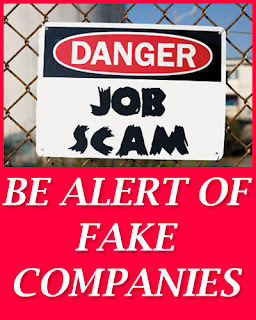 Jiocaf company is a no 1 fake company in india.They simply ask money instead of providing jobs and all related facility. I have already lost all my savings by paying to get the jobs. Not only I but from Mumbai one boy also already victim for their fraud company when I checked from the internet.He had lost all his savings.So plz never pay to jiocaf company for getting jobs. Taaki un 25 garud se bhi paise thug shake..
Apko permanent asistent manager ki post de di jayagi. Infosys announce one more fake comany name is: Matrix mind software solution pvt limited(www.matrixminds.in) kindly update this one also.